1) Hello Chibi! Thanks so much for participating in this interview! I'm sure you've got heaps of fans who're just dying to know what makes you tick! Hi Brad, thanks so much for asking. It's a privilege to be interviewed. 2) So you're the owner of two very popular Sailor Moon webistes, Chibi Land and Moon Sticks. Let's talk about your first one, Chibi Land first. Can you tell us a bit about it for those that don't know about it? Chibi Land is devoted to the chibi and super-deformed version of Bishoujo Senshi Sailor Moon. We have a large collection of chibi images, artworks, tutorials and we cover other goodies all related to this one theme. It's packed with cute content to make moonies smile. 3) It's just celebrated it's 8th Year Anniversary. 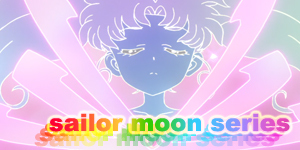 Did you ever imagine you would still be running a Sailor Moon fansite for so long when you first started? 4) How have you changed since you first started Chibi Land? Do you run your sites any differently than back in 2001? I have changed a lot in many ways, yet at the same time I'm still a moonie :) I'm really proud to be a Sailor Moon fan and channel that energy into Chibi Land. In the old days, it was more about collecting images and content to share, but now it's more about creating my own content, like the Chibi Dolls and Chibi Luck Charms. I have much more confidence in webdesign and using Photoshop too. 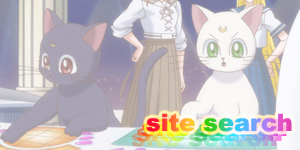 5) What about Sailor Moon websites in general? 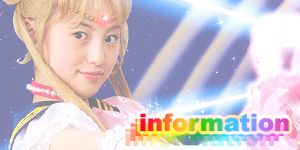 Have you seen much of a change for better or worse during your time as a Sailor Moon webmistress? 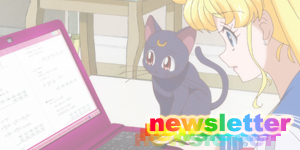 Sailor Moon websites have definitely changed over the years! The change was expected though-as the web evolved, so did many sites. Many websites first used corner frame layouts, then iframes, tables and now divs with CSS. As information became more available online, people are learning to create better layouts (and not using pre-made ones). Apart from the visuals, web hosting has become much more affordable so we're seeing much less sites with annoying pop-up ads from free-hosting sites. In terms of Sailor Moon content, we're seeing a lot more variety, as fans are becoming more creative. It's very exciting to still see fresh content after all these years. Oh, and now more sites like MoonKitty.net are taking advantage of RSS feeds. 6) Yeah, I see you've implemented RSS feeds yourself. What would you say to a webmaster who isn't using RSS yet? I would definitely encourage them to implement it if they can. It is a great way for subscribers to get notified every time your site is updated. It keeps the visitor engaged and coming back for more. I found myself visiting MoonKitty.net much more regularly because of it! 7) What about Twitter? I've been having great fun with the MKNET Twitter account and found it a great way to interact with my visitors and attract a new audience. How have you found Twitter and do you see more Sailor Moon website owners following suit and linking Twitter accounts to their sites? Twitter is quite the thing at the moment, isn't it? Twitter has a lot of potential especially for website owners. 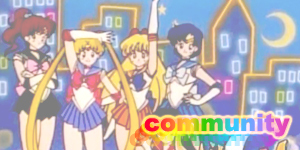 It's been fun communicating with visitors and other Sailor Moon fans, useful for getting feedback and even suggestions. It can also be used as an alternative to RSS Feeds. I hope more moonies start Tweeting! 8) Chibiland has become pretty famous since it first came online. What's the best experience you've had running the site so far? The best experience would definitely be the positive feedback received from visitors. The Chibi Dolls have been rather popular, and I never thought I would have produced over 100 of them! It's also a great privilege meeting other web owners of well-known Sailor Moon sites and veterans. It's a big thrill being affiliated with such great websites too. Oh yes.. at one stage, Chibi Land was hacked into. Everything was deleted and my backup version was 6 months outdated. I hope that never happens again! 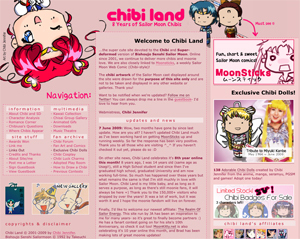 10) Just recently you've launched a kind of spin-off site of Chibi Land, MoonSticks. What was the motivation behind this idea? Originally I thought of drawing funny and random Sailor Moon doodles for Chibi Land. The idea just sat in the back of my head, until a few months ago, the idea of doodles expanded into a comic." I'm going to make Sailor Moon Comic Strips!" I blabbed out to my boyfriend who was with me at the time. "It's going to be called MOONSTICKS!" I guess you could say it was a random idea that came out of the blue. I'm glad it happened. 11) It's become pretty popular very quickly. I asked my twitterers recently what Sailor Moon sites they recommend and someone actually said MoonSticks. Pretty impressive for such a new site. 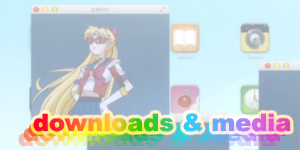 Do you think it's filling a niche in the Sailor Moon experience that's been missing online? I do believe it's filling a niche, and I'm thankful for the support I've been getting so far. It's really satisfying knowing it's putting a smile on people's faces. I'm surprised this hasn't been done before actually! 12) How do you get inspired for your MoonSticks strips? Do you have them planned in advance or do you just happen to watch say, an episode of SuperS one day and make that week's strip about Pegasus? I spend about 3-4 days every week just brainstorming for ideas and jotting them down on paper. Unfortunately I don't have much time to re-watch Sailor Moon, so everything has been from memory so far. I try to think back to those quirky bits from the series and turn them into a comic strip. The last season I re-watched was SuperS, which explains why there are quite a few SuperS related comics so far. Every week I'd have one idea ready, but nothing for the later weeks ahead. 13) So far, you've managed to post weekly on Fridays. Are you beginning to feel the pressure? Oh definitely. It's quite a challenge coming up with fresh ideas each week. I was a little stressed out during the week of #11 Hawkseye's Dream Target, simply because I had a creative-block. The idea finally came to me on the Thursday night! I'm so glad it worked out. 14) For all the other artists reading this, can you tell us about the creative process involved and what programs you use in the creation of a strip? Once I have a basic idea of what I want to happen, I sketch out a storyboard for it. I plan out what happens in each frame, the composition, where the characters are and what they have to say (or think). Once I'm happy with what I've got, the real drawing happens. I personally use Photoshop and my Wacom tablet to draw straight into the computer as I do with all my other artworks. This method saves paper and time otherwise spent on scanning and inking. 15) Where do you see Moon Sticks a year from now? 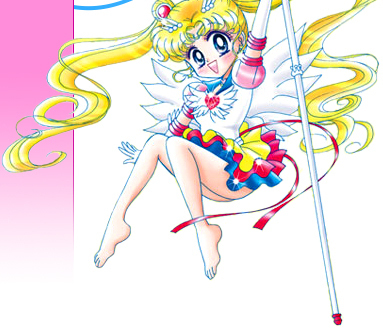 MoonSticks will have a large archive of moonie comics, covering all the major characters and seasons. Hopefully it will have a large number of followers too. Who knows? It might even sell merchandise one day if there's demand for it. 16) What about Chibi Land? Any long term goals? No, not particularly. I want to focus more on MoonSticks and improve on my drawing skills. 17) So you and me have quite a bit in common; we're both from Sydney, Australia and we're both twins! Tell us a little more about yourself? Oh wow, I never knew you're a twin too! To be honest, I don't think I'm very interesting to talk about.. but here goes! I'm an Australian born Chinese, the younger and possibly evil of the twin (my twin runs Awoken Destruction http://saturn.windy-goddess.net/). During my spare time, I draw, blog, work on my various websites, browse the web for design inspiration, watch Chinese drama or anime. I'm currently working full-time as a web designer and always wanted to improve on my digital painting skills. I'm fascinated by the Japanese culture too and would definitely love to visit Japan again. You're so lucky to be living there! 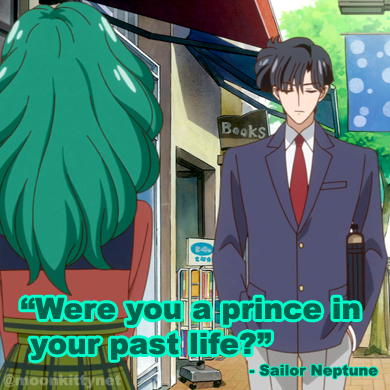 18) How did you get into Sailor Moon? What made it stand out from other series? My cousin told me about it when I was in primary school. It was aired on TV on a program called "Agro's Cartoon Connection". I loved it the moment I laid my eyes on it! It was the first anime I was exposed to, so that probably says a lot! The unique art-style really stood out among all the American cartoons on TV. The art was just amazing and the transformation and attack sequences were pure goodness! I didn't mind the English dub at all. I followed it religiously every morning. 19) There are quite a few versions of Sailor Moon. Which is your favourite and why? 20) Do you collect Sailor Moon merchandise? How big is your collection? Sadly, I can't say I have a collection. There has never been much Sailor Moon merchandise over here in Sydney, not even in my childhood days. After much search I did find a few things like a Sailor Moon tinned pencil case, a bag, posters, trading cards and stickers. I also bought quite a few of the manga in Chinese... funny I did that since I'm not really a fan of the manga, but I wanted anything Sailor Moon I could find. 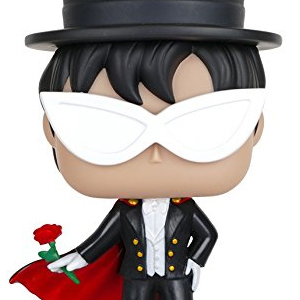 I'm not an ebay fan, so I haven't bought any Sailor Moon merchandise online. 21) What do you think about the proposed redub of the Sailor Moon anime? Do you see it as a good thing or a bad thing? Maybe both or neither? In reference to a poll on FUNimation's official website. I'm not quite sure. My natural instinct was just to vote for it, since it's an attempt to bring Sailor Moon some (if any) kind of spotlight. We hardly hear any news about Sailor Moon nowadays, so this just might be the thing us moonies have been waiting for. I hope something comes out from it. 22) Who's your favourite character? Usagi is my favourite - there's just something charismatic about her character that I really admire. I also really like Haruka, Seiya and Yaten- they're all really cool. Helios is probably my favourite male character (assuming Seiya isn't male). 23) If you could be a Chibi Doll, which Chibi Doll would you be? I'd have to choose Princess Kakyuu! 24) Any advice for Sailor Moon fan-artists who are reading this? 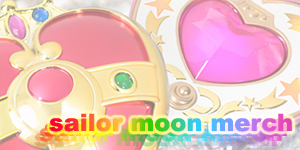 25) Any words for Sailor Moon web site owners? Keep up the great job and do consider Twitter. And for those who want to run a website, if you have new, innovative ideas, make it happen! 26) Thanks so much for taking the time to do this interview! Being such a huge fan of your sites, it's been great picking your brain. It's been a real pleasure to be interviewed! 27) Any last words before we finish? I want to say thanks to all the followers of MoonSticks so far. Please continue to support me and check back for our weekly comics! A BIG thanks to Chibi Jen for this interview! Make sure to check out her sites, Chibi Land & MoonSticks. You won't be disappointed.